Ok chaps, here's the third part to my review of 2011. It's been quite the year for me, with big a relocation from my native Vancouver, Canada to new digs in Stockholm, Sweden. I've now more or less stopped trans-Atlantic travel, with my life more firmly rooted in Europe and all the automotive goodness it has to offer. For this blog post, I'm not going to get as wordy, and will just let the photos do the talking. I dialed up the shutter speed at the photo location to try and get a good dirt drop. Alan Sinnott obliged! I'm a little bit sad that I won't be going out to Dubai next month for the 24Hs. I absolutely love the place, but travel budgets need to be conserved for next year's race season. Those of you who have never seen the V8 powered GT1 Spec R35s have now missed the boat as the cars will not see any racing action next year. It's too bad as they are spectacular machines. 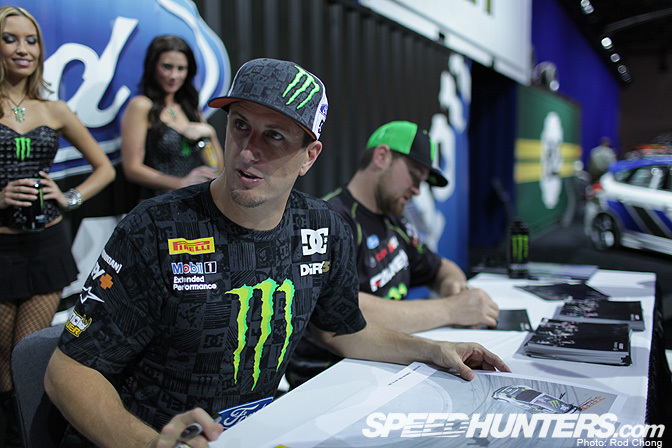 I've met Ken Block a few times, but we are not really on chatting terms. That didn't stop me from grabbing a snap shot of him and Vaughn at SEMA this year. I got to know JCW a little bit during the production of SHIFT2 Unleashed. He's a lot of fun! I thought it best to leave him alone for this shot though, as he was busy getting his head in gear to do a qualifying run. 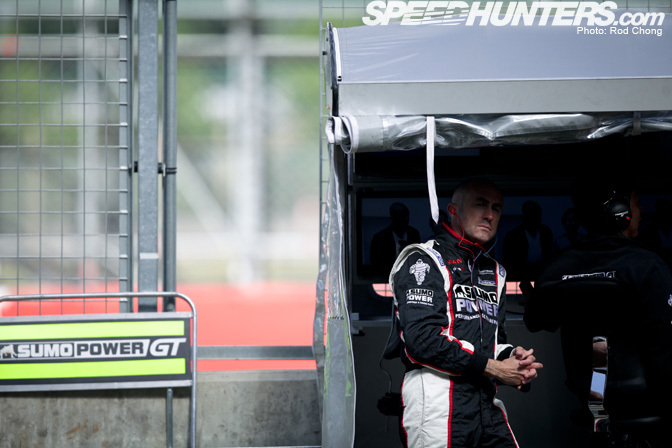 Moments later I grabbed a quick snap of his team-mate, David Brabham. It almost looked like he was posing for the camera! The Nurburgring 24H hoodies that Touge Automotive made for us seemed to get a big response, as we've had a lot of requests for these. And while you can't buy these examples, we are looking into options to offer a limited range of new Speedhunters clothing next year. Any interest? We made sure that Miki Taka got a hoodie too. 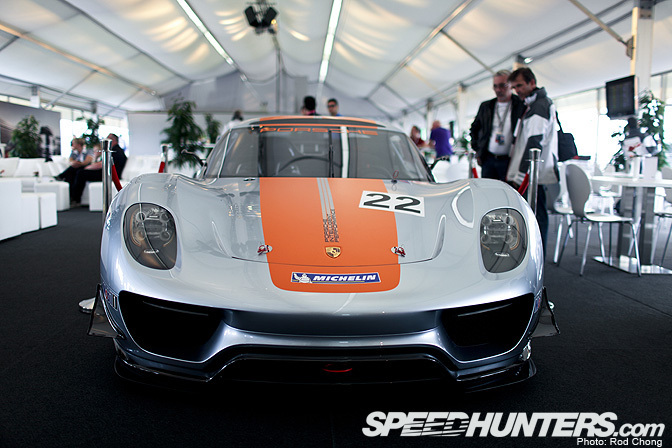 Here she's checking out some of the pitlane action at the Nurburgring. This was the view. Functional Cute. I spent a few weeks on vacation on the South Island in New Zealand this past March. 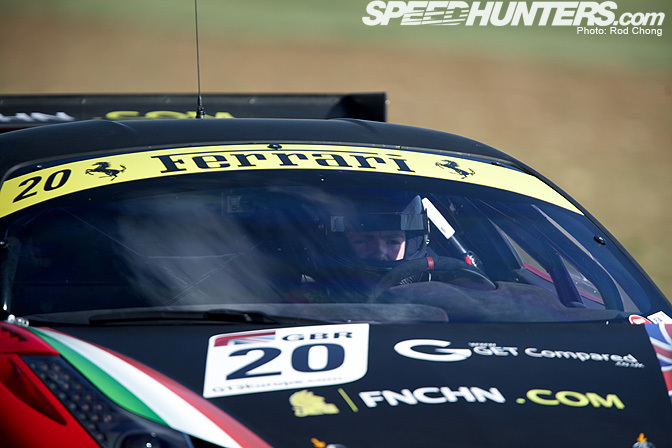 While there, I thought to do a bit of Speedhunting here and there, you know… just for fun. My attempts to document the local automotive scene got off to bit of a rocky start though. I actually thought this image was quite funny and printed it in the monthly photo column that I write for NZ Performance Car Magazine. Fredric Aasbo goes for the big entry! 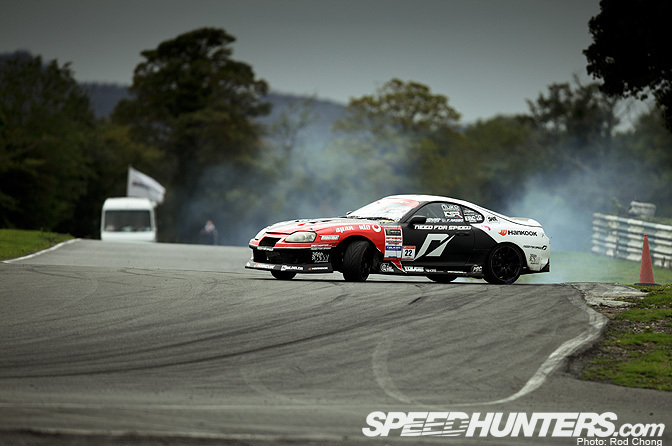 The Team NFS UK-Ireland Drift tour was a big highlight of the year for me. I can't wait to go back! I never saw this V8 powered Starlet on track this year at Gatebil. As far as I know, it had some serious motor issues that prevented it from leaving the pits. I managed to sneak into the Porsche Hospitality area at the Nurburgring 24Hs. 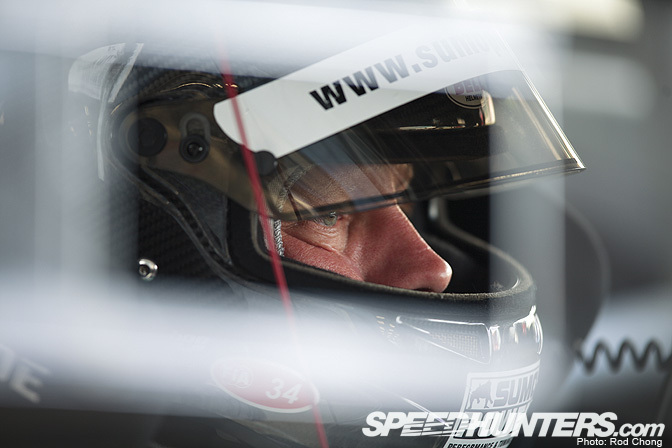 It appears that their guests get to experience the lap of luxury and the 24Hs in one go. I'll need to make sure I do a better job getting passes to these VIP areas next year. 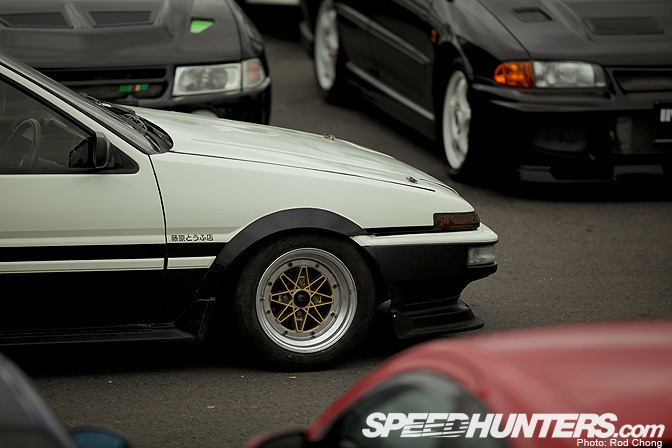 The Irish JDM scene is, simply put, amazing. 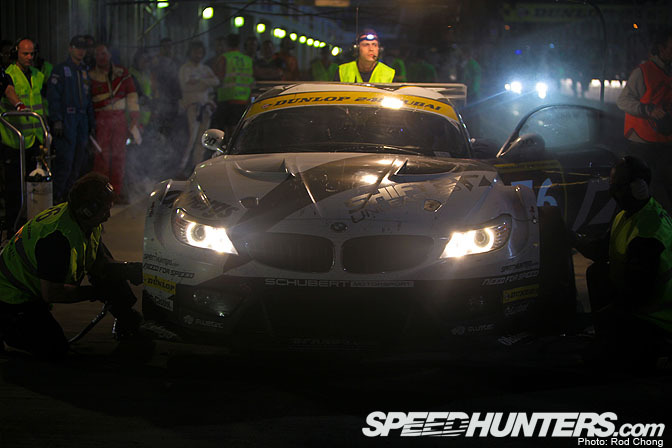 The Team NFS Schubert BMW Z4 GT3 needed a heart transplant before the 24Hs started. Here's what its growling lump looks like. When car and tarmac meet, much joy is created. Spa Francorchamps, for me, is one of the best tracks in the world to shoot at, especially the area in and around Eau Rouge. 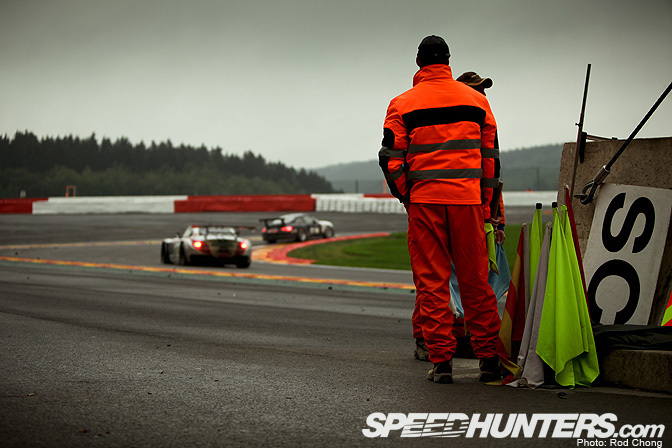 Seriously, the Spa 24Hs from my books, is one of the best events in the world. 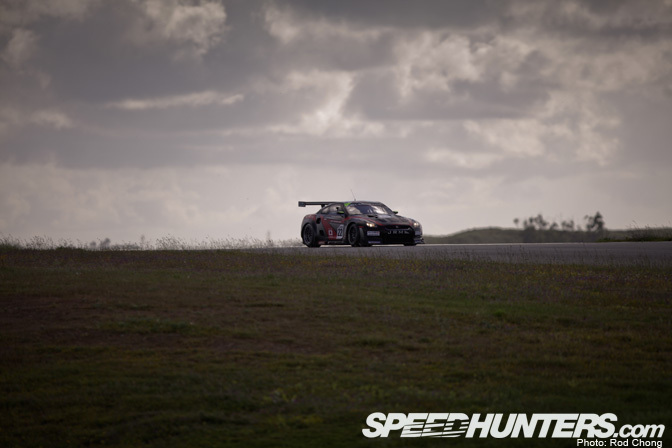 It's in a beautiful location, the cars are amazing, the hotels are acceptable, and it's just the perfect mix of intense and chill. I highly recommend this event. 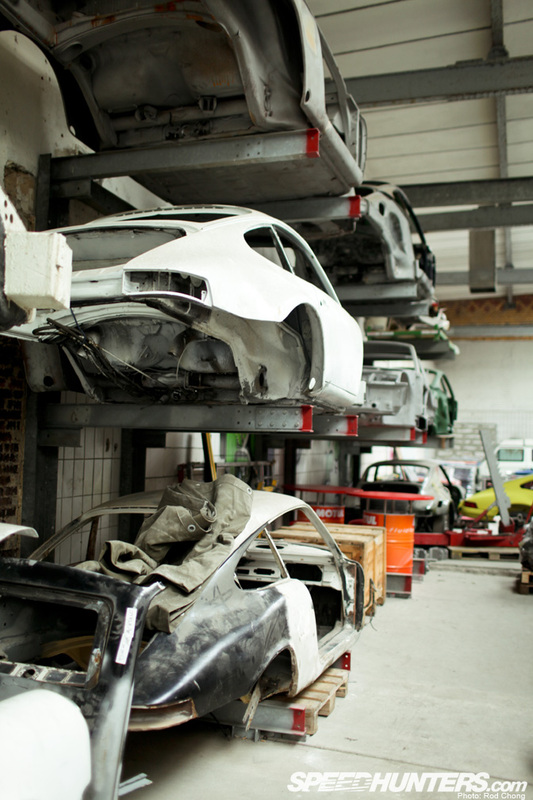 A wall of 911 chassis. I never thought I would need to write those words before. 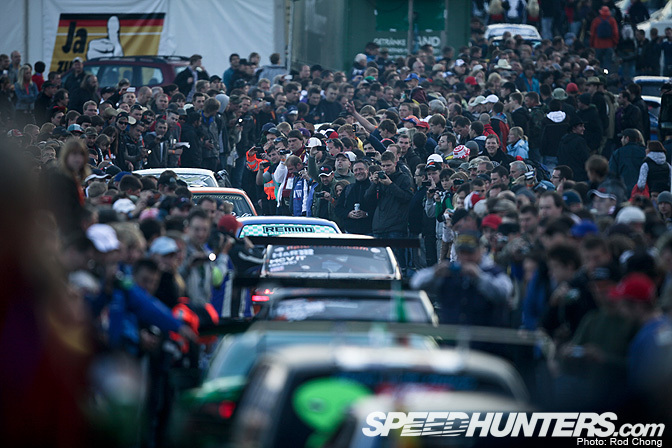 I'm sure Gatebil will be a strong contender for the Speedhunters' Event of the Year. For 2012, I think we are going to need to step things up again and bring even more photographers. 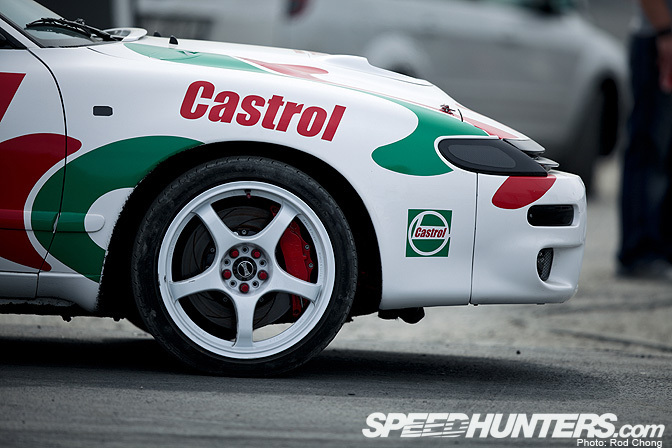 There are just soooo many cars to feature, we will need more of our team to come out. Dino are you reading this? Look closely at this shot and you'll see the 911 has slid into the marbles, sending up a big spray of rubber into the air. Fredric wows the crowds at the Trax show, with his big entries and walls of smoke. I like to tell people that Irwindale is one of the most amazing places to see professional drifting, but seeing the Drift Demo at the Nurburgring 24Hs made me reconsider that statement. The assembled crowd of 25,000 screaming, intoxicated fans has burned this moment into my mind's eye forever. It was both surprising and edgy, to the point of being a little intimidating. 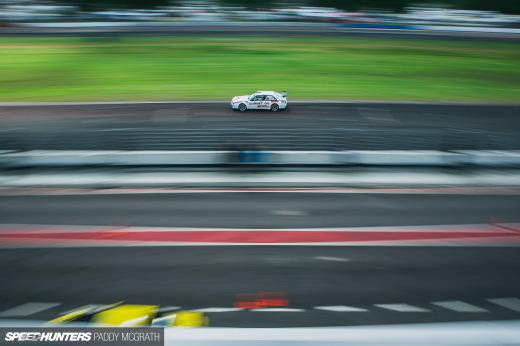 We'll be better prepared to cover this Nurburgring 24H side show next year. I've spent a lot of time with Edward Sandström this year as we sometimes share an office at DICE in Stockholm. 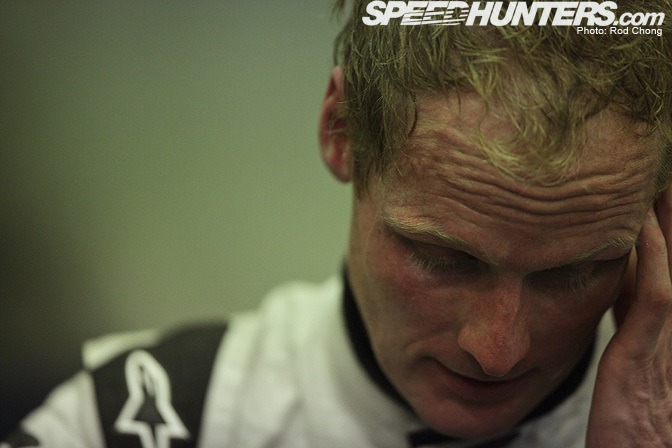 This shot was a tough moment for him, as he struggled to come to grips with being a team of two at the Spa 24Hs. I think he drove for a total of ten hours that day. Edward is serious and properly aggressive behind the wheel of a race car, but away from the race track, is a pretty chilled out guy. 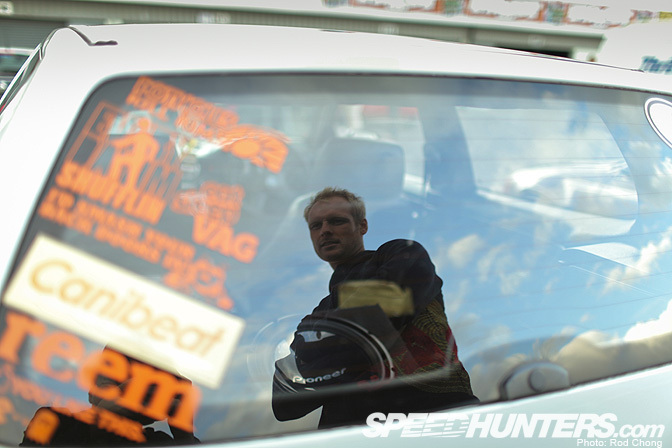 I shot this image of him at the Trax show in the UK, where he joined me to check out some drifting. Most race drivers I know, get annoyed and irritated if at an event without a race seat, but Edward was pretty cool about the whole thing. 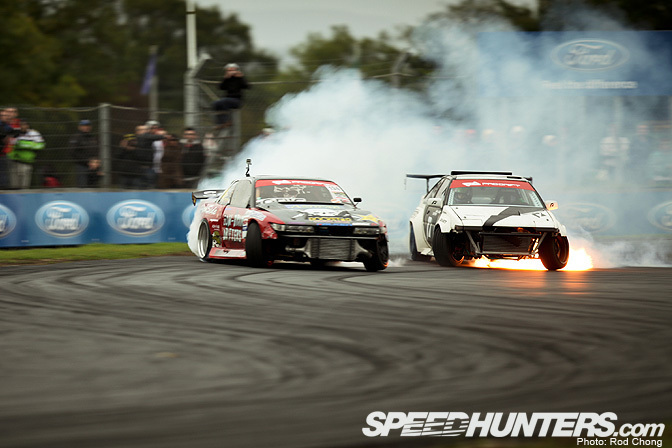 Perhaps this has something to do with the fact that it was a drift event and not a GT race! That's a little piece of perfection right there. The new entry way to the Silverstone pitlane is a little bit of a freaky place to shoot as the cars get very close to your shooting position… but photographs like this make the slight feeling of danger well worth it. Ahhh the Karussell. I must go back there again in 2012! There's no other corner in the world quite like it. Here's one of my dramas of the year. 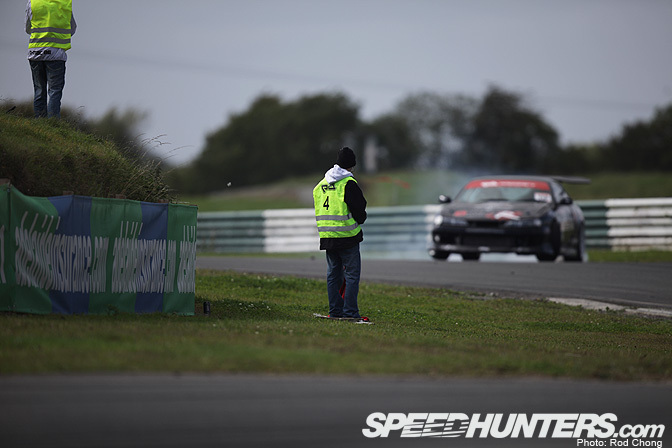 I spent a long time preparing the Team NFS European program, with the UK-Ireland Drift tour being one of the highlights. 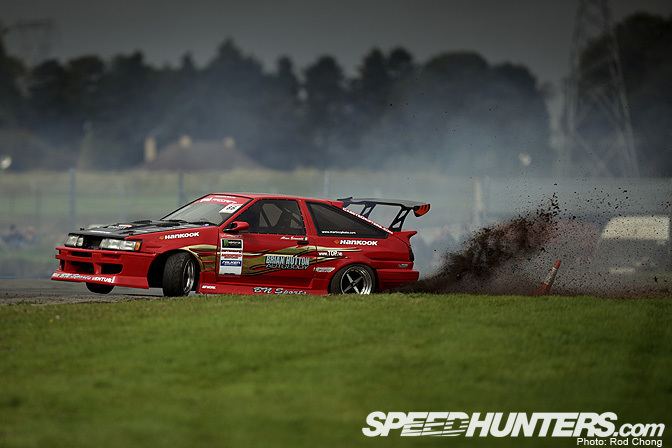 And this exact moment was perhaps one of the most poignant, where the D-Mac '86 caught fire during the Prodrift Mondello Park final. Earlier that day, I caught one of the Prodrift marshals seemingly uninterested in personal safety. You couldn't pay me to stand in that spot! 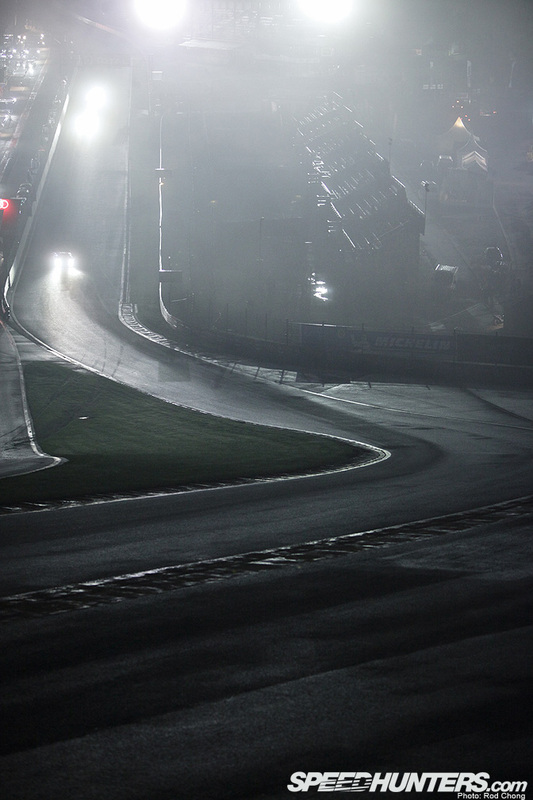 Here's a similar shot, taken in the early morning of the Spa 24Hs. The race had already raged through the night by this point, but we had yet another day to make it through. Ok that's it from me. 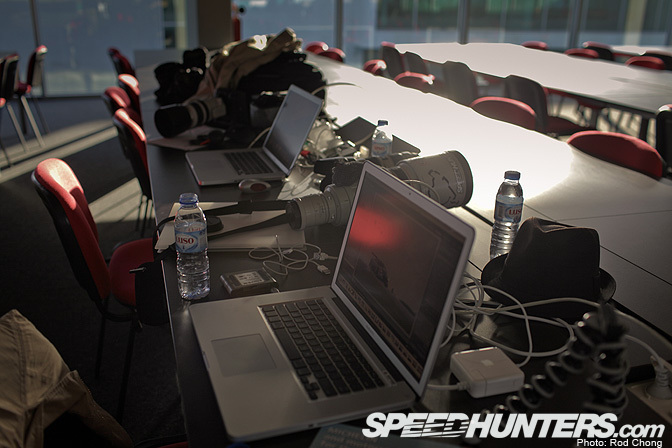 I'd like to personally thank the Speedhunters and Team NFS crews for all their hard work this year! On to 2012 we go! 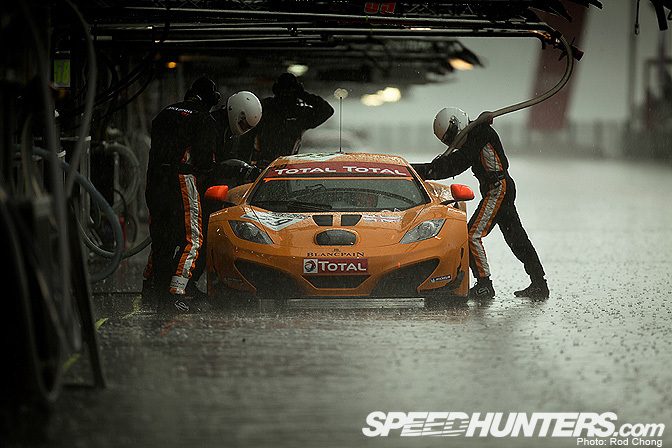 I appreciate the sacrifice of getting drenched for the photo of the McLaren MP4-12C! And we def need that BMW NFS hoodie! 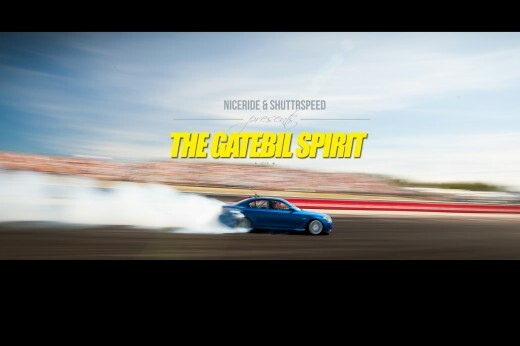 Gatebil's frickin awesme, full stop. I'd give up a major organ for one of those hoodies. Still great photos (thanks, Rod!) and it's also still called "Nordschleife"
I recommand you to visit a vln race at the nürburgring... there drive nearly the same cars from the 24 hour race. 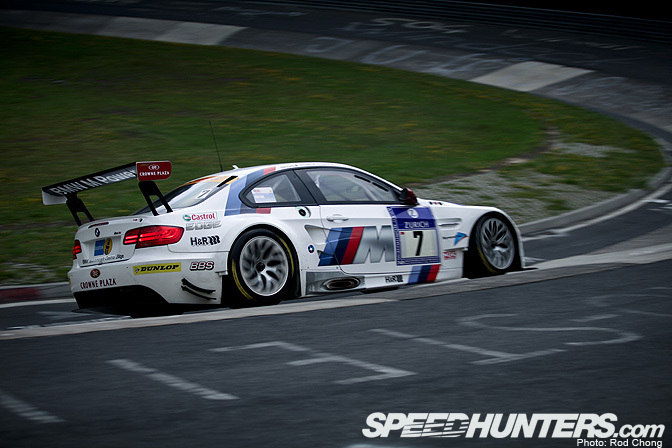 There are 10 races a year for 4 hours a race, they also drive over thre nordschleife . 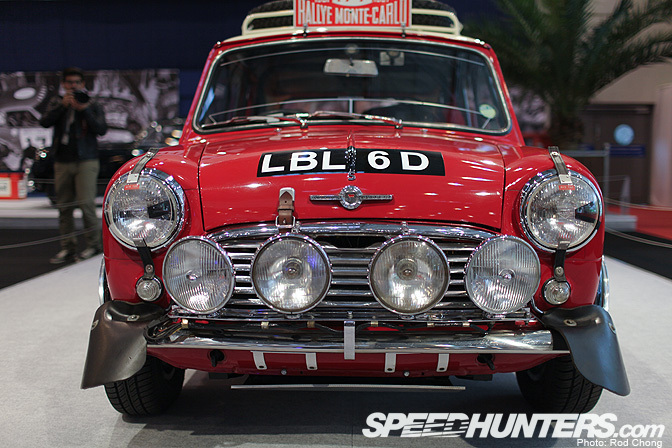 That V8 Starlet looks amazing and yes, Spa is one of the most beautiful track in the world. Thank you your work Rod!!! The Bird! That's a cool picture. Can we please have those Team NFS hoodies? 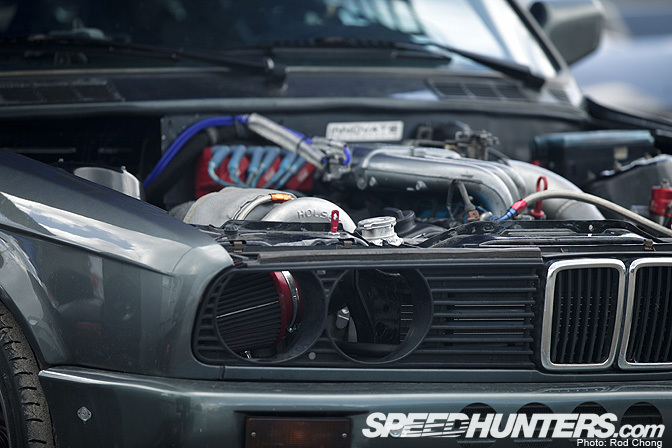 I'd love to sport some Speedhunters apparel as well. The m3 on the karussell picture is amazing!